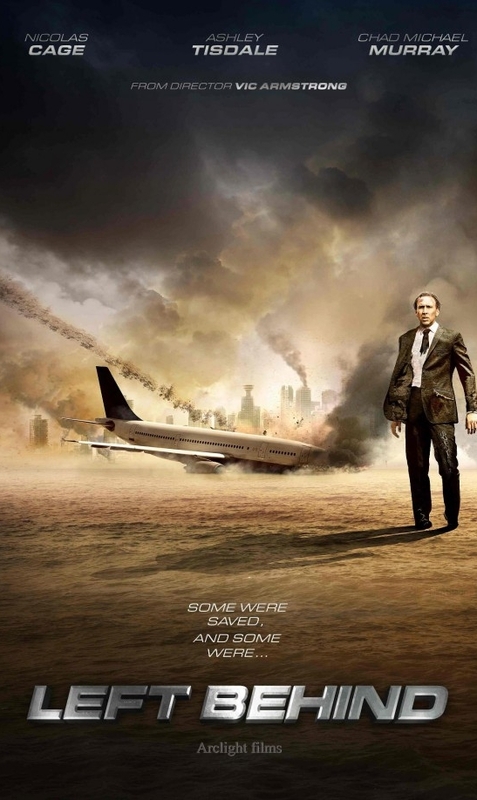 Skip the “Left Behind” movies (likely including the upcoming “Caged” remake). The audio-drama series is much more fun. And I hope to re-explore them in a new series. By now you’ve likely seen this film poster. Thanks to Relevant.com last month, it’s crashed here from the planet of Do Not Adjust Your Internet, For This Is (Apparently) No Parody. Yes, that would be none other than a Left Behind movie reboot, the “Caged” version — as in, starring Nicolas Cage, along with another actor I don’t know, and another actress I don’t know but who reportedly headlined in High School Musical 3. Someone failed to tell the Left Behind re-makers that Nicolas Cage is currently performing community service as the punch line of the internet. Yet I also recall these are the same Christian filmmakers who — I’m sure with the best intentions — pioneered the “release a movie to home video and then to theaters” marketing model. 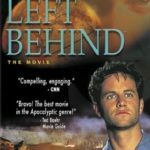 I still recall my profound disappointment with that first Left Behind movie (The One with Kirk Cameron).1 Here I’d expected blockbuster end-times awesomeness. Instead I got a cheesy direct-to-video low-budget attempt that arbitrarily changed Buck Williams to a clichéd TV reporter — as opposed to the books’ clichéd-and-already-dated-in-the-age-of-blogs weekly newsmagazine reporter — and worse, dropped out all but one mention of the very Name of Jesus Christ from the film. From my memory, the Savior’s only Name-check comes in a mention by T.D. 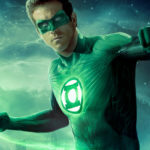 Jakes, the Trinity-obfuscating leader who cameos in the film. For the sequel, Kirk Cameron, then with Way of the Master, tried to rectify the Gospel-ignoring — resulting in a rather painful reenactment of the “Way” for a minor character. However, I’m not a snarky Left Behind critic. I have almost all the adult series’ 16 books, missing only Kingdom Come — the truly worst of the series that was set after a “millennial kingdom” and thus had no enemies and no plot. Yet I still appreciate the series in many ways. God used that series in my life for His purposes. 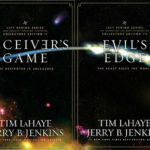 If not for the LB series and their authors’ attempts to be faithful to Scripture, to harness imagination for God’s glory, and even to explore sci-fi and fantasy (though with overly constricted applications, especially in Kingdom Come), today I would likely not be writing fiction or writing for Speculative Faith. Yet it’s the audio drama series I enjoy the most. Few know about the Left Behind dramas — or they confuse them with audiobooks. So I get major evangelical-hipster points for this. Not an audio book, but audio theater. And now apparently anyone can listen to the complete dramatized series for free, at OnePlace.com. 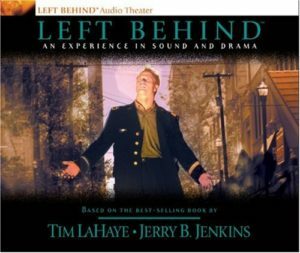 Now, as I recently noted in a Speculative Faith comment, I realize that my love for Left Behind was my first experience with fandom — either “evangelical” or otherwise. And now, about ten years later, I’m listening to the audio drama series all over again. This won’t be done in a blog series as I usually do. Rather I’ll make use of Speculative Faith’s new News section, to post sporadic updates as I listen to LB episodes. In those news posts I’ll summarize an episode and briefly explore its story and doctrine. If you want to follow along, I’ll link to episodes that are evidently free at OnePlace.com. Meanwhile on the blog, before Easter Sunday, I’ll explore the often-confused and weakly applied yet fantastic Biblical concept of resurrection: Christ’s past resurrection, His people’s present/future resurrection, and physical creation’s future resurrection. View the in-progress Listening to Left Behind series here. I’m always listening to BBC audio dramas/comedies while I’m working, but there are only so many of those that I want to listen to. I think these will last me a while! I didn’t know that the radio drama team had produced those! That, alone, assures me of their quality. Their adapt of the Horse and his Boy, with the perfect horsey-sounding voice actors, was better than any movie. Most people, including my wife, abandoned the series at just past its halfway point — just when things were getting more “speculative,” though still with restraints. A clarification: the same production engineers behind several of the Radio Theatre dramas — e.g. sound effects and editing wizards — produced the Left Behind audio series. For Radio Theatre, the actors and some other engineers (especially in the U.K.) were very different, and certainly so are the storytelling genres. I’m glad that LEFT BEHIND inspired you to get interested in speculative fiction — that’s good to hear. But I still wish that the series had never been written, and after seeing some reviews of the later books, I’m not sorry I didn’t force myself to keep reading them. I think a lot of the problem is it’s not portrayed as fiction but this is how it will really be. these books are, above all, novels. Their purpose is simply to tell a tale that will, hopefully, intrigue, engross and please readers. 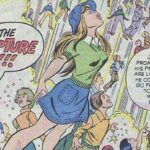 Although they are based on a post-millennial theology they were not written in order to popularise that particular view of the ‘End Times’ and they are certainly not ‘fictionalised theology’. […] although the books are based on a particular theological position that I think has lot going for it, I am no dogmatic and confrontational holder of this position. I hold my views cautiously and provisionally and I am prepared to accept I am wrong. I will be delighted (if a little surprised) if I am raptured tomorrow. The spiritual lessons we do get from his books will be of benefit to us whatever actually happens at the end of the world! Because at the end of the day, it makes little difference to our lives whether there’s the risk of being raptured tomorrow or not. We equally might be run over by a bus. I’m actually a premillennial dispensationalist (if such labels are any use at all), and I could not get through the first chapter of LEFT BEHIND. Oddly enough, it wasn’t until the very last of the series — Kingdom Come — that I began to question the notion of premillennialism. I’m not sure whether the other two views (post- and a-) make any more sense than pre-. However, when set to the “music” of fiction, pre- makes no sense at all. Clearly there becomes no point in God’s redemptive His-Story to have a literal 1,000-year period after Jesus comes back and before the final transformation into the New Earth (though some ignore this) just to prove that — what? people still stink? the Devil is still bad? The whole idea of the series makes me feel queasy, to be honest. I’d heard of this response before, including from readers wide open to other fantasy tales, including secular ones. To be honest, this perplexes me, and I’d love to hear more about the reasons behind the queasiness. Does the very idea of a series like Left Behind — ignoring for now whether the execution was well-done — seem to infringe on dangerous territory? If so, then perhaps I was in a different position then, and in an even better position now. Having now a post-pre-tribulational view (ha!) I can enjoy the books more as a straight fantasy simulation of the End Times. Because I think it opens up a number of very important and serious Biblical doctrines to misunderstanding and confusion, gives needless offence and fodder for ridicule to those outside the faith, and makes it all too easy for even earnest Christians to mistake the authors’ speculations for gospel, so to speak. Similar things happened with Frank Peretti, though. All these authors made it clear they were simply asking what-if. Yet many Christian readers simply didn’t understand fiction — and so they believed demons could be named after diseases, or the Antichrist would really have a name like Nicolae Carpathia and brainwashing powers. If more Christian leaders taught about exploring fiction for God’s glory, we might not have this problem. But instead Christian readers either believed this is how it really is! or else condemned the novelists for supposedly promoting this. In that case, the fault lies not in the authors, but the readers. I still recall reading Lindsey’s older books after hearing my first dispensational pre-everything-ist sermon series, from Dr. David Jeremiah, and being interested in the Left Behind series (including LaHaye’s explain-all-the-end-times-things books). And yes, I agree Lindsey’s works had far too much impact. Even according to pre-everything-ist literature, he allegorized far too much: the demon locusts were Russians, the demon horsemen were Russians, the oceans turned to blood because of radiation dumped by Russians, pretty much everything was caused by Russians. Then President Reagan whooped the Russians, and singly prevented the Apocalypse According to Hal Lindsey. That durn Reagan. Or wait! Thanks, President Reagan! Most people are convinced the earlier books were better. So far, I’m sticking with my original view that the later ones are actually superior, at least from a speculative standpoint. They milked the series? It’s a seven-year Tribulation; it makes sense, at least theoretically, to take a while to explore it. The later books were too pulpy? I just finished listening to book 1, and the pulp was there all along; that book covers only one week, maybe two, after the Rapture, in which small space the world and grieving people recover from the Rapture and the Antichrist comes from nowhere to take over the United Nations. So you have to enjoy the pulp, if you can, all along. I think the problem, though, is that they don’t make it clear. (In fact, in the case of Left Behind, I get the impression they really are writing fictionalised theology, not simply asking what if?). I know Frank Piretti was not expecting it to be taken as true theology – but there is nothing in the actual books to make this clear. Obviously if a book is set in another world, or about something fictional like fairies there can be no confusion. But when set in this world, and involving only real things – angels, demons, the second coming – the natural assumption when reading is that this is how the author believes the world really is. I don’t see how that’s the fault of the reader. I’ve been getting into audio dramas even more recently–some of the older Adventures in Odyssey, BBC Radio Four Extra adaptations of Terry Prachett, BBC Cabin Pressure, and Big Finish Doctor Who serials. It’s actually easier to produce good radio than film in my mind, and the Focus adaptions of Narnia are superior to the Walden films most of the time. Cabin Pressure is one of my favourites! I read the books and found them incredibly long-winded and poorly-written, also the lengthy show-stopping sermons proved silly and counter-intuitive for fiction but I was curious to see what happened, so I read all 12 books. I guess I’m a glutton for punishment. I found Aslan to be a much better Jesus than Book 12’s Cardboard Jesus. That said, this audio theatre edition seems an improvement on the books (judging by the 2 ‘episodes’ I’ve listened to). Good stuff! Audio drama can be fun. If you can scare up a copy, National Public Radio did an absolutely wonderful version of Star Wars, using members from the original cast. There’s plenty of free, older drama too at places like the internet archive. I’m not a big Left Behind fan, but it could only get better if adapted into one. I can’t understand why on earth Arclight pictures would choose Nicholas Cage though. He’s legendary for bad acting. NOT THE BEES ARRRGGHBLARG! I AM A VAMPIRE! They might as well invite the Slacktivist and make him creative consultant while they are at it.